The San Gabriel Valley Tribune | Sit, stay for Dog Film Festival in L.A. 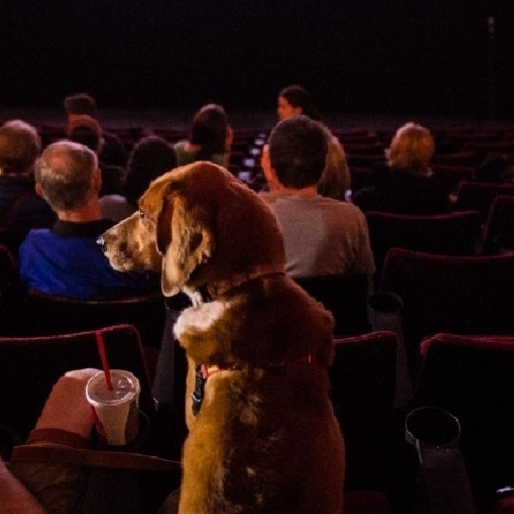 The first film festival designed exclusively for dogs (and their owners) comes to LA this June. The event is sponsored by the Petco Foundation and 50 per cent of ticket sales go to animal welfare organizations. THR film critic (and non-dog person) Michael Rechtshaffen (because Keanu the cat wasn't available) offers a sneak preview of the screened highlights. Doggy detectives are on duty in artist William Wegman’s highly-acclaimed film “The Hardly Boys In Hardly Gold”, starring four of his famous Weimaraners Fay Ray, Battina, Crooky and Chundo, who prove dogs have a knack of making humans howl with laughter. LOS ANGELES, CA – When Tracie Hotchner launched the inaugural Dog Film Festival™ in New York City in October 2015, she dedicated it in loving memory to her godmother Joan Rivers, “the ultimate dog lover herself”. Today, the Dog Film Festival™ is proud to announce Melissa Rivers, Joan’s daughter, as the honorary hostess for the Dog Film Festival™. Melissa is also the goddaughter of Hotchner, the founder and president of the Dog Film Festival™.